But this Insta strategy is just *so* intriguing… and you’d sell even more of those mentorship programs with double the followers, right? Does this all sound familiar? 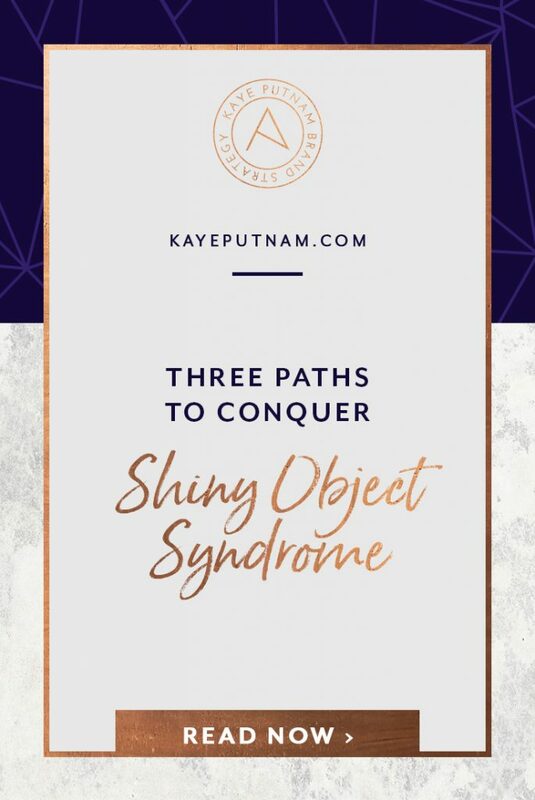 Then you, my genius friend, may be suffering from shiny object syndrome. Just do exactly what they’re doing and you’ll get the same results, right? Just because it worked for them does NOT mean it will work for you. If you want your business to stand out and succeed, you need to develop strategies that work for *you* and *your business*. AND, you need the time and space to implement those strategies – one at a time, in an order that will work for you – and with focused effort. So today, I’m NOT going to share with you the next *BIG* idea to ensure success of your business. Instead, I’m going to share with you how to stay in motion with your own fantastic ideas and strategies. 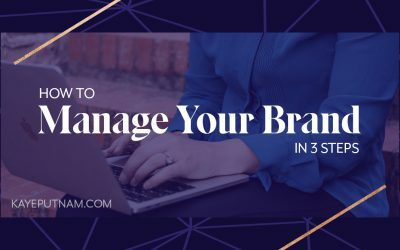 These are the techniques I use to stay on track in my brand – that help me avoid that dreaded shiny object syndrome we all know so well. So, let’s start with some psychology and reflection. 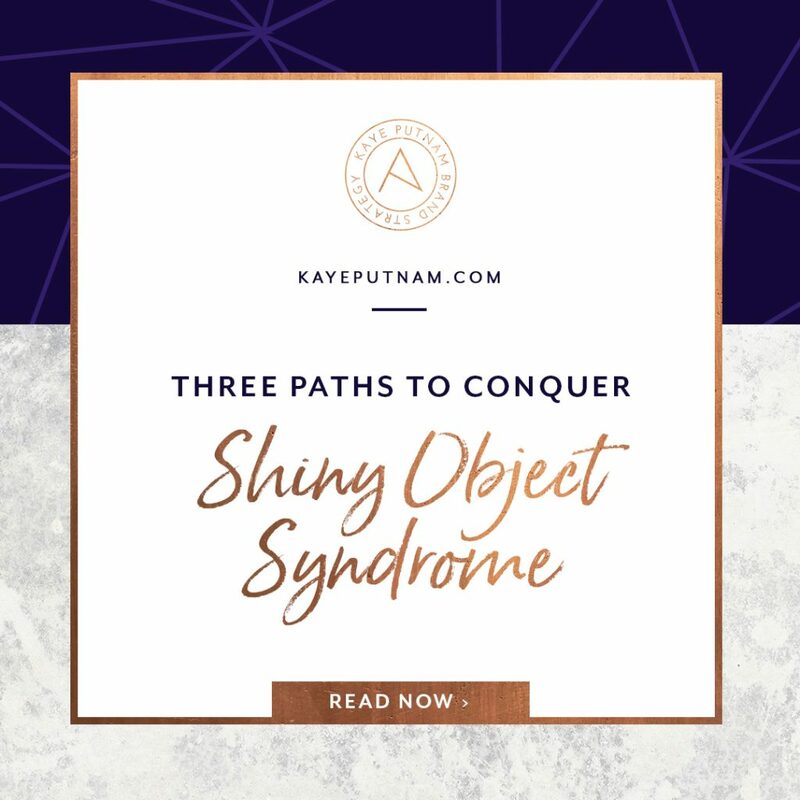 I’ve observed that entrepreneurs get distracted by shiny object syndrome when they haven’t developed three specific pathways needed to keep their business on track. To avoid this, you must first set up three lanes (or pathways) in your business. Your Value Path – What do you plan to sell? What value can you offer people? Your Marketing Path – How do you plan on telling people about the value you offer? Your Brand Path – How will you make your business all sparkly and amazing? These lanes will be your primary money-making focuses. #Cha-ching! Now let’s do a deeper dive into each one. How do you *love* to deliver value? There are *oh so many* ways to deliver value to your audience. Maybe your passion is creating and selling art. Or maybe your super-strength is coaching and consulting others. Or, your talent may be serving up courses or a done-for-you service that support others. Wherever your talents lie, decide where you want to focus your time. Next, decide who you want to serve. Do you want to serve a lot of people or a few? Will you serve beginners or those more advanced in their journeys? Are they located closeby? Or, can they be anywhere? There aren’t any right or wrong answers to these questions. It all comes down to personal choice, and to where you feel you are at your highest and best. And, what do you see yourself sticking to *long term*? Long term is really the key here! Don’t get trapped in a box that will cause you to shy away from your business or procrastinate. Maybe you want to set up a membership site where your profit comes with the number of subscribers, rather than cost per service. Or, if you want to work with more advanced entrepreneurs, you may want to work on a higher and more transformational level for your clients. There are a *bajillion* different business models. The key is to decide what is right for you, your business, and your potential fulfillment. Make the numbers work. Decide what lights you up and gets you excited. You should be excited to work with clients and customers who appreciate your message and who value exactly what you do. Maybe you work best sitting at a desk and writing genius content. Or, maybe visual demos are more your style. To explore this further, and develop your awareness of how you show up best, I recommend you read The 80/20 Rule in Business by Perry Marshall. It includes a great quiz with purchase that helps you evaluate this and determine your best marketing style. If you aren’t able to purchase the book or take the quiz, decide what marketing style feels right to you– how are you most comfortable sharing your value? Pick media that you’re naturally good at and naturally drawn too. Once you figure out the marketing method that works best for you and your business, you can match up the visibility platform that will serve you best. For example, if you’re like me (I enjoy producing content and videos! ), then YouTube or Facebook could be the fantastic options for you to share value. 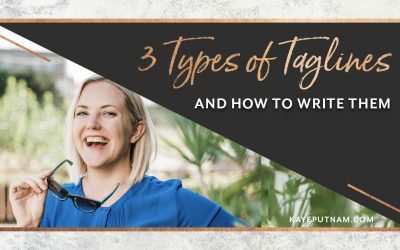 If you’re a natural writer, you can share your posts with your email subscribers or on Pinterest. If you’re a community builder, thriving off interaction, then hosting events – or a Facebook group – for your tribe might be in order. Find what works and stay the course, sailor! 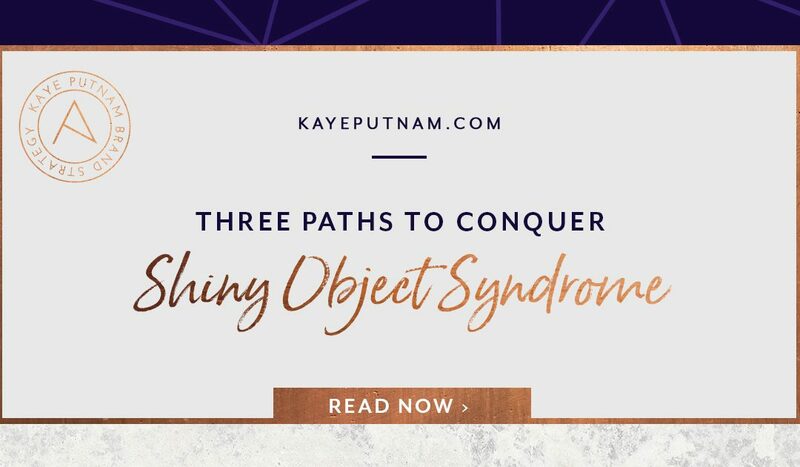 The truth is that all three paths are important for focus, and they work in tandem to make magic for your brand. 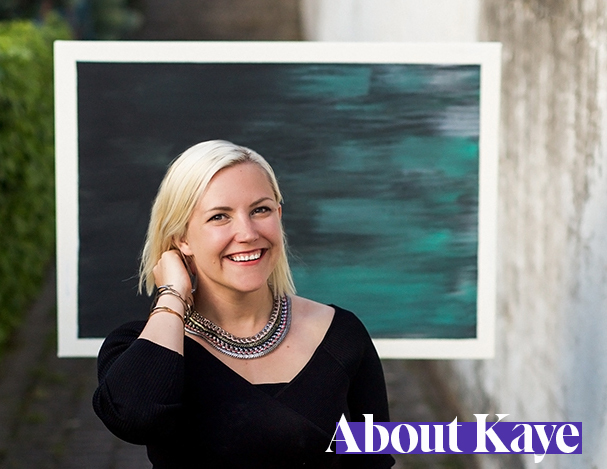 Even if your first two paths are identical to those of your competitors… or to other entrepreneurs in your industry, your *brand* is what sets you apart– it differentiates you and makes you the singular choice for your ideal client. 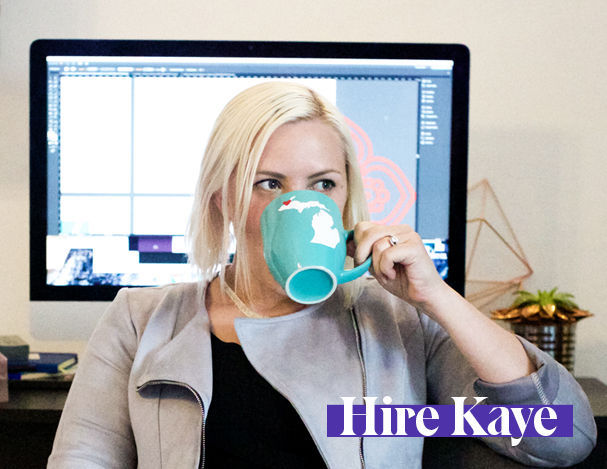 My favorite tools for developing your brand path are brand archetypes, those timeless characters that humans relate to on a gut-level. Choosing and using primary and secondary brand archetypes will help you hone in on the part(s) of your personality and values that will draw the right people in. Archetypes are powerful because they appeal to people on an emotional, unconscious level. This is how you bring in the right clients and customers, like moths to flame, to your business. Now, double-down on the right strategies. Once you’ve determined the three pathways for your business, you can double-down on your strategies. Because, magically ;), you now have the space and time to follow through with what make the best and most impact. You can cut out all of the clutter and refocus your energy toward what will further your business and your brand. Align yourself with people who will take you further down each pathway. Match up with the *right* courses, coaches, collaborators and platforms. There will always be people and ideas trying to take you on a detour – and they’ll be coming at you from all angles. But because you are clear on your path, you won’t be waylaid by people who wish to sell you their Instagram course or their Pinterest course – because you’ll know exactly what works for your business and in your business plan. It’s so easy to get distracted by the glint of *all* of the shiny objects out there. But, as the visionary of your business, it’s up to *you* to decide. So, focus on your paths and quiet the noise. Before you jump to start to implementing yet another strategy in your business, decide how it fits with your value path, your marketing path, or your brand path. If it doesn’t, it’s a big fat NO – no matter how shiny and pretty it appears. 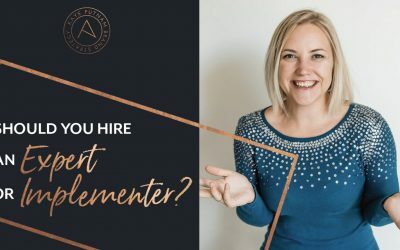 Should You Hire an Expert or an Implementer?